As the video commerce industry points out, videos sell products more effectively than other media. Businesses are more likely to increase customer loyalty, create a feeling of personalization online, and encourage a “halo effect” that spurs catalog-wide conversions when they deploy video assets. When e-businesses combine the power of video with the direct customer connections possible via live engagement, the bottom-line results can be significant. One way to do this is to enable collaboration between prospects and e-sales agents via video, which is a capability we offer to our customers. Reps. can either share product videos or view YouTube videos while interacting with visitors via text-based or video chat. In these real-time sessions, the site’s agent can pause a video to discuss or further explain a feature in which a visitor has expressed an interest. 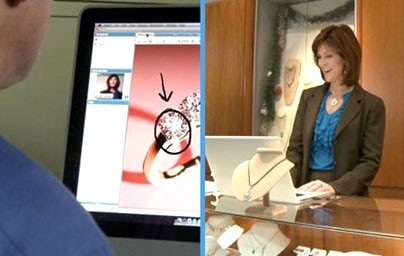 Annotation tools even allow reps to mark up still video images to emphasize specific product features and capabilities. Consumers are accustomed to video and comfortable with its ability to reproduce live demonstrations. A prospect who might say she would rather buy a particular item in person is far more likely to be swayed by a video collaboration than by static text or images. With its “nearly there” benefits, video has a lot to offer e-commerce sites eager to embrace better customer service online and capture more business from brick-and-mortar competitors. Looking for multimedia and live video chat for your e-business? Check out VeriShow.